Farm Update and an Exciting Announcement! Whew, it’s been a while! Things have been busy as you can tell from the silence on this blog. We’ve got a great update here for you on the state of everything here at the farm, but please be sure to read this post all the way to the end as we have a super exciting announcement!!! 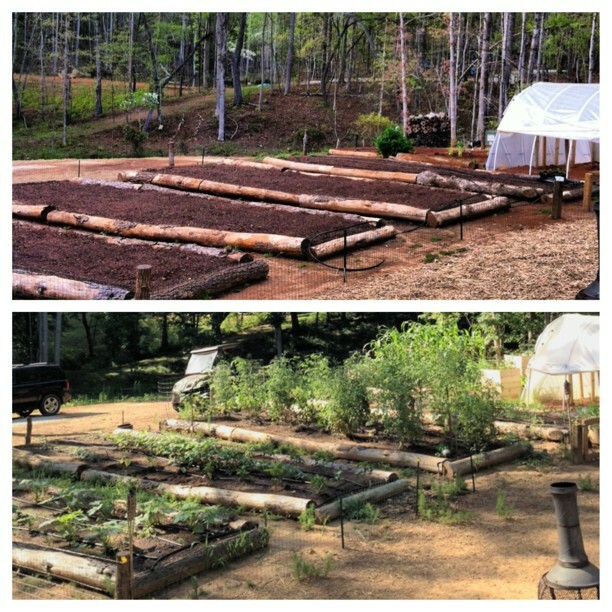 And that “after” pic of the garden looks small compared to now! Lettuces and greens are out and tomatoes, eggplant, peppers, squash, and corn are in full production these days. The rain has definitely affected a lot of stuff. Our tomato plants are pathetic. It is clear they are over-watered as they shot straight up and barely gained any girth. Many of them are already dying out. Boo. 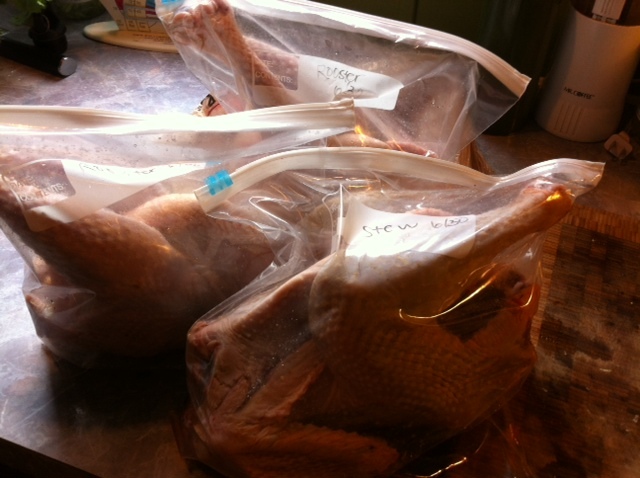 We had a good amount for eating fresh, but no preserving this year again. 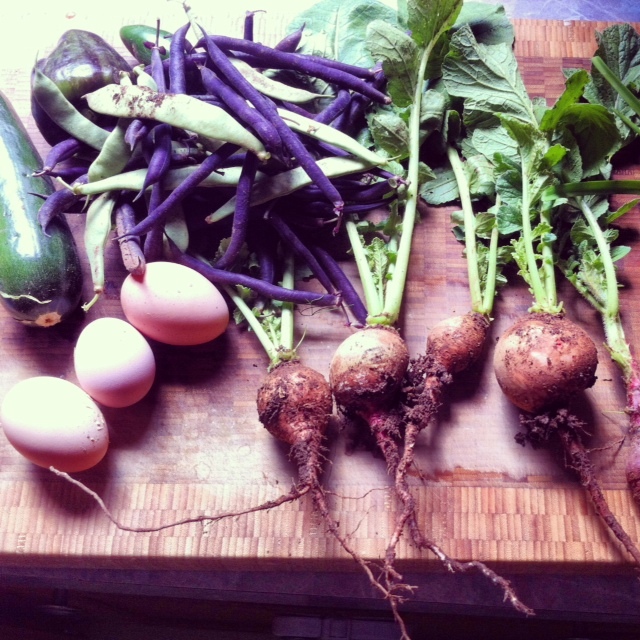 Our purple beauty peppers and long Japanese eggplants are delicious this season. We also grew some purple green beans that did brilliantly, minus a couple mold issues from all the rain. Never have I wished for a break from rain before, but this year that was the case. We are getting ready to clean out some beds, have started fall garden seeds, and compost is looking pretty good these days! The chickens are doing great! In the past couple of weeks, a lot of our pullet aged girls have started laying. We keep finding lots of small eggs in strange places…some even make it to the nesting boxes, some don’t. 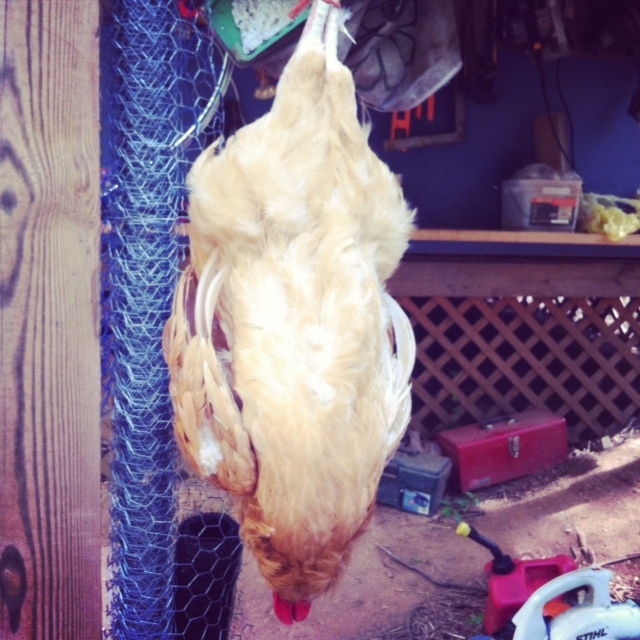 We culled some roosters a few weeks ago. We will do another harvest in a few weeks as we have some old hens that need to go. “Old Red” as we call her lovingly paces under the nesting boxes and waits for someone to finish laying and then she hops up on their still warm egg and hunkers down. 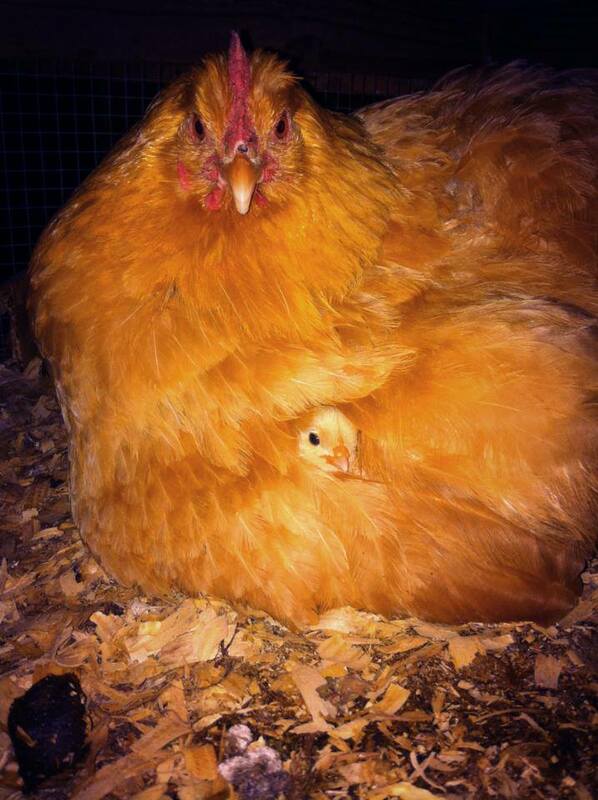 She’s not laying anymore, but she wants to think she is! Unfortunately, she is taking time away from others in the boxes, so her and a few other older hens will be harvested. We have one white chick and two black ones…well actually they are pullets these days and getting big! Their papa was a Rhode Island Red, so the hens must have been our one White Leghorn and Black Austrolorps. They will join the flock soon and start laying in another 2 months or so. Right now we have 54 laying hens. The ladies are getting so big! They have finally warmed up to us too. We have a wilder breed and it has been an adjustment for all of us to get used to one another. They were very skittish and scared when they first arrived here. Slowly they have gotten used to us and one of them, named “40”, will even eat out of our hands and let us pet her! 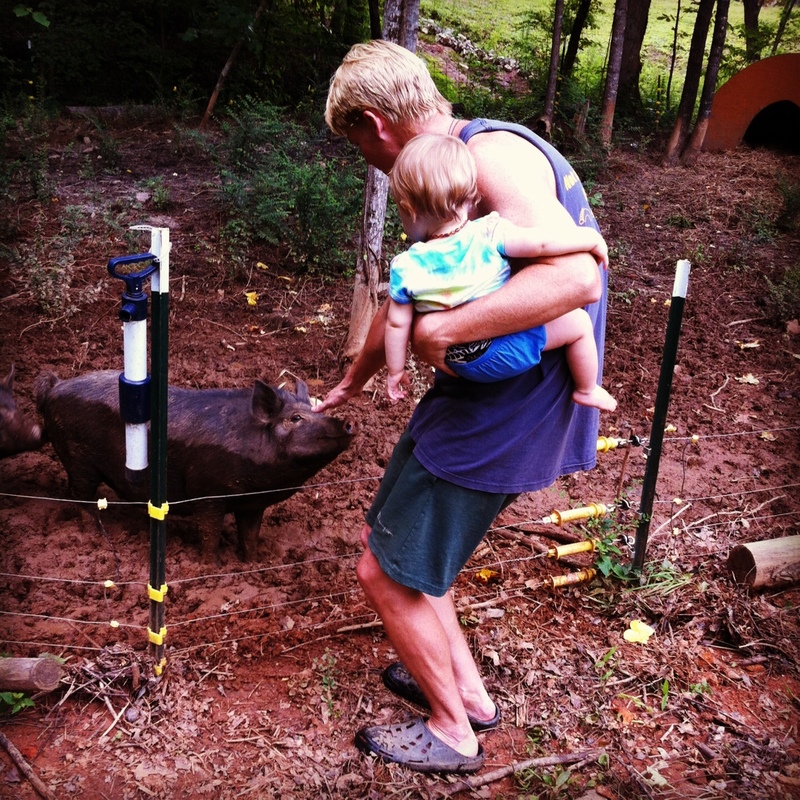 Here’s Farmer B and Farm Baby petting 40. 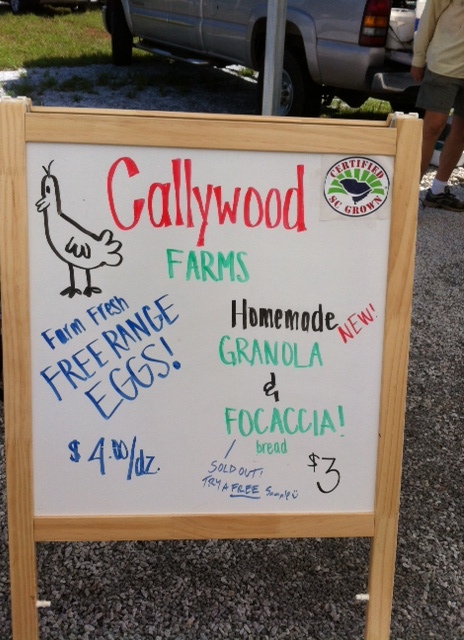 Callywood Farms eggs have been wildly popular at the market. We have been selling out every week and have gained some very loyal customers (thank you so much!) who keep coming back. Our farmer’s market has been such a great outlet for us. We have met a lot of other local farmers and feel a part of the movement here. That’s right, Callywood Farms added granola and focaccia to our spread! Since our eggs have done so well, we decided it was time to add some products. 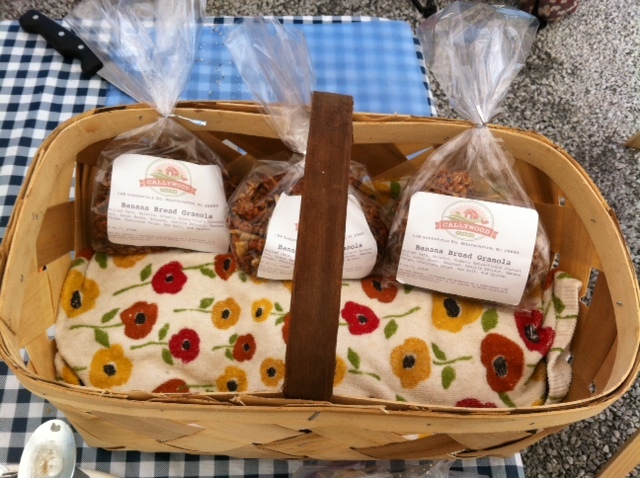 We jumped through all the hoops to get our license to sell baked goods and have officially added granola as a product. We had been bringing some for the past couple of weeks for free tasters and last week we brought a couple bags to sell and sold out! So exciting! Once we get everything a little more in order, we will probably also launch an Etsy store front so that we can ship our granola to our supporters who can’t make it to our local market. We’ve also been playing around with selling focaccia. There is a market of people looking for convenience dinner foods. So we thought homemade/baked focaccia would do well. We offered some free samples and sold a loaf last week. We are going to try to offer more of this in the coming weeks, so stay tuned. Have you tried our eggs, granola or bread? If so, leave us a comment and tell us what you think! The Cherry Coconut Granola is fantastic!!! I’m definitely addicted – it’s so much more flavorful than anything store bought. The focaccia sample was really good and am looking forward to purchasing some at this Saturday’s Foothills Heritage Farmer’s Market. Thank you so much for the kind and complimentary comments! We’ve gotten such great feedback about everything, we wish we could offer more/ship to FL!